Completely free for all uses. A link and a note here would be nice, but you are not required to do that. Alex Reno aka ar13 on the Nexus. This mod adds a Hispanic female sneaky sniper follower with a bit of an attitude. 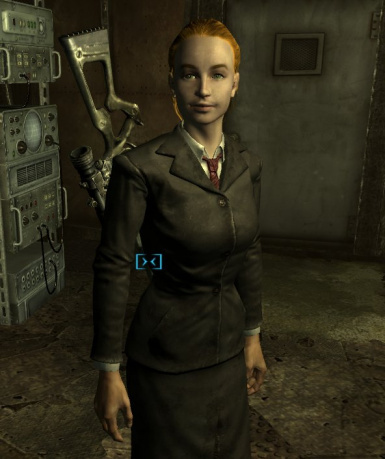 She can be found just inside the gate at Megaton. Can be hired in addition to other followers, and has no karma or other requirements to be hired. 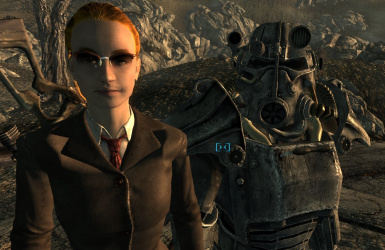 She won't be available if you blew up Megaton. Face based on Amata. BEFORE you install the new version, load up your save and get your equipment from her, fire her, and save the game. Disable mika.esp, reload your save, and save again. Install and enable the new mika.esp and hire her. Unzip to your Fallout 3\data folder, and then enable either mika.esp or mika_essential.esp from Data Files in the launcher. Mika_essential is unkillable. Her ref ID is 010022E6 and her base ID is 01000ea6. Note the first two digits will vary if you have additional mods enabled. Her tagged skills are melee weapons, small guns, and sneak. She starts with a combat knife, a sniper rifle and 50 .308 rounds. Everyone is free to modify Mika, re-skin, whatever. If you release it I ask for acknowledgement in your readme with a link back to Mika on the Nexus. Smoking works now. Sorry about that, got my versions mixed up when I switched over to the new computer. She will smoke them only if she's got them. Added starting combat knife. Fix random chit-chat. Dialog tweaks. Fix Bette Davis impersonation. When hired, adds a party hat which will summon her when equipped. Reduced energy, should no longer go charging off after enemies as much. No longer smokes. Added more movie impersonations. Reduced random dialog frequency to match other followers. Added "about Mika" dialog. AI package conditions adjusted, yet again. More appearance tweaks. Will fire herself if player enters Vault 87. Fix "Wait here." command. Added combat and idle chatter. Moved dialog to new quest for more compatibility, should now be compatible with nearly everything. Reduced the health of her starting sniper rifle to 50%. Increased base health from 200 to 225. AI package tweaks. Assorted dialog fixup. Added a movie impersonation. Changed skin tone. 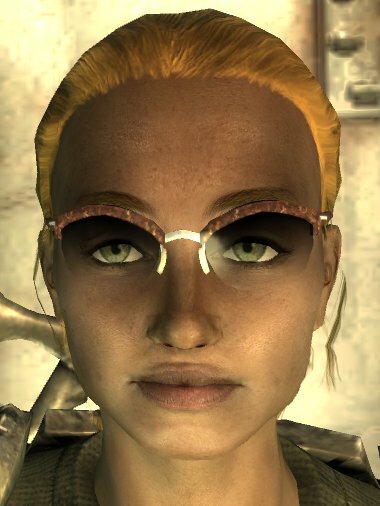 If her face doesn't match her body, add bLoadFaceGenHeadEGTFiles=1 to the [General] section of your fallout.ini in my games\fallout 3. Gave her a flashlight. More cleanup - should no longer step on Clover's or Cross's topics. Fixed bug where she'd still follow you around after being fired if you have Star Paladin Cross in your party. 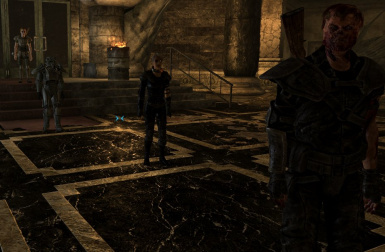 Should now be compatible with 0h Followers Hire, and more compatible with other mods as it no longer changes FollowersQuestSCRIPT. Changed her to be paler, so her head comes closer to matching her body. Reduced wander radius when not hired, should be easier to find. Added topics for combat style, distance. Removed unchanged scripts, shouldn't conflict with free play mod.